The makers of a popular dog food have issued a voluntarily recall for one of its products because of possible Salmonella contamination. Nature's Variety announced samples of their Instinct Raw Chicken Formula for dogs tested positive for Salmonella. The products are labeled with the "best by" date of 4/27/16. Salmonella can affect animals eating the products. It can also be a risk for humans who handle contaminated products. 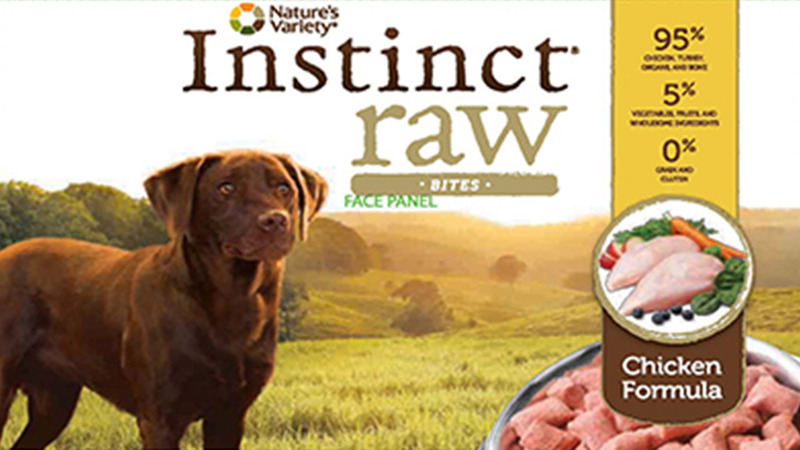 Nature's Variety found out about the contamination only after the FDA discovered routine surveillance sample of seven pound Instinct Raw Chicken Bites for dogs tested positive for Salmonella. If consumers believe they already fed the product to their dogs, they should contact their veterinarian. They should also return the above products for a full refund or exchange by either returning the products in its original packaging or bringing a proof of purchase back to the store where it was purchased. Consumers with additional questions can call our Consumer Relations team at 888-519-7387 from 8am to 7pm Central time or email Nature's Variety directly via cservice@naturesvariety.com. For more information, head to the FDA's website.